The tween years are the perfect time for teaching responsibility. As adolescence approaches, levels of conscientiousness begin to rise for the first time. You can capitalize on this natural trend by using the following tips for teaching responsibility, to help your tween now and throughout his or her life. During early and middle childhood, you probably needed to constantly remind your child about her obligations or else things wouldn't get done. As a tween, though, your child has more autonomy, or the ability to take charge of many of her own responsibilities, like due dates for school projects and when she needs to leave for sports practice. Granted you still need to drive her, but she now has the capability to remind you instead of the other way around. Let her exercise this ability. If you always do her thinking for her, she'll never get the chance to learn. Stepping back also means letting her "fail" once in a while, which can help her build resilience. Choose "low stakes" moments to let her flounder; for instance, if she's bad at paying attention to the time, don't tell her that she's late for meeting a friend but rather let her discover it on her own. You may need to continue to step in for important events, however, like getting to the dentist on time, or to the bus stop. Household chores can be the perfect arena for teaching responsibility. You're the supervisor, so there's no risk of your child failing in public, yet he has a chance to take on a task and complete it on his own. Taking on chores not only helps him become more responsible, but it can also raise his self-esteem and lets your tween know how important it is for everyone in the family to chip in. Make sure his to her tasks are explained clearly, that a timeline for completion is set and that he or she knows what will happen if the task is not followed through. Be sure to provide frequent, clear, concrete feedback about your tween's efforts; tell your child precisely what behaviors did and/or did not do well, then give your tween a chance to fix it. It may sound simplistic, but does your tween have the tools he or she needs to be organized, on time and self-disciplined? 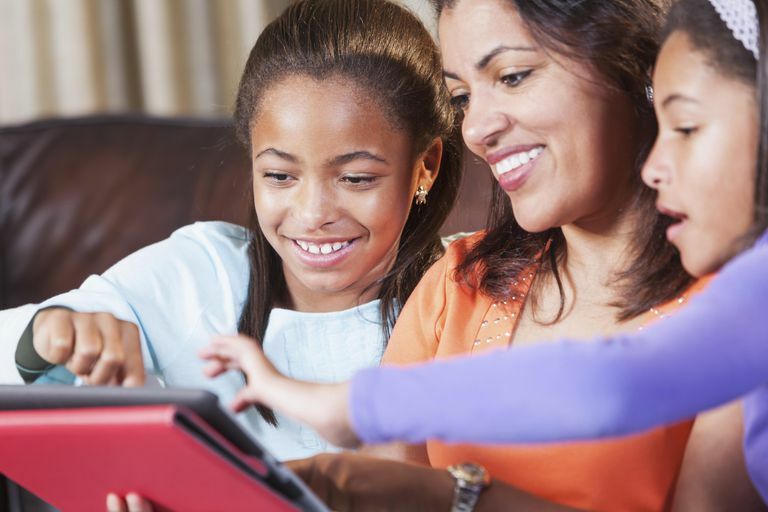 Think of the responsibilities you're still taking on for your tween — like watching the clock in the mornings or before practices, reminding about homework, keeping school papers organized — and find tools that will shift those responsibilities onto your child. Take a fun trip to the office supply store and encourage your tween to pick out organization tools like binders and planners that speak to her. While it's fine to make suggestions, keep in mind that the tools probably won't be used if you impose an organization system; your child has to figure out what works for him or her. As with the teaching of any skill, timing is key to teaching responsibility effectively. It may be tempting to try a new approach — such as using a planner for the first time — when things are already changing, thinking that new habits can be set up all at once. In fact, though, new habits tend to be retained best when they're introduced during relatively stable times. Therefore, you may want to avoid introducing new strategies as your child is transitioning to middle school or when your child is very actively searching for her identity. Your child is already facing so many emotional, social and academic during these transitions that she'll likely cling to old habits for a sense of stability. Better to set up the responsible habits long before the transitions occur, or else wait until after they have passed. It's healthy to increasingly shift responsibility onto your tween, but as when learning any new skill, your tween will need breaks. You don't need to demand responsibility 24-7 in order to get your child to be more prompt, self-disciplined and dependable. Keep in mind that your tween is still developing, so cut him some slack once in a while. Weekends are often the perfect time to do just this. After all, we adults often lay back on our level of responsibility then, too. If at the beginning of the tween years your child was the least conscientious person in her class, it's highly unlikely that she'll ever become the most responsible person compared to her peers. There's nothing wrong with that. Conscientiousness is a trait. Like any trait, some of us have it more than others. Experience can alter these basic inclinations to an extent, but there is a limit. As long as your child is becoming increasingly responsible relative to her own starting point, things are progressing well. Encouraging responsibility is a great idea, but don't put excessive pressure on her to be someone she's not. Perhaps the most effective way of teaching responsibility is modeling conscientious behavior yourself. Are you perpetually late to appointments? Do you pay bills behind schedule or require your boss looking over your shoulder constantly so that you get your work assignments done? It's the old case of "do what I say, not what I do" — that just doesn't cut it. Your tween learns through watching, not listening. If you are dedicated to working on improving your own habits and your tweens just might follow.